Everybody who has ever owned a yacht is continually, even if only in the background, thinking about The Next Boat. 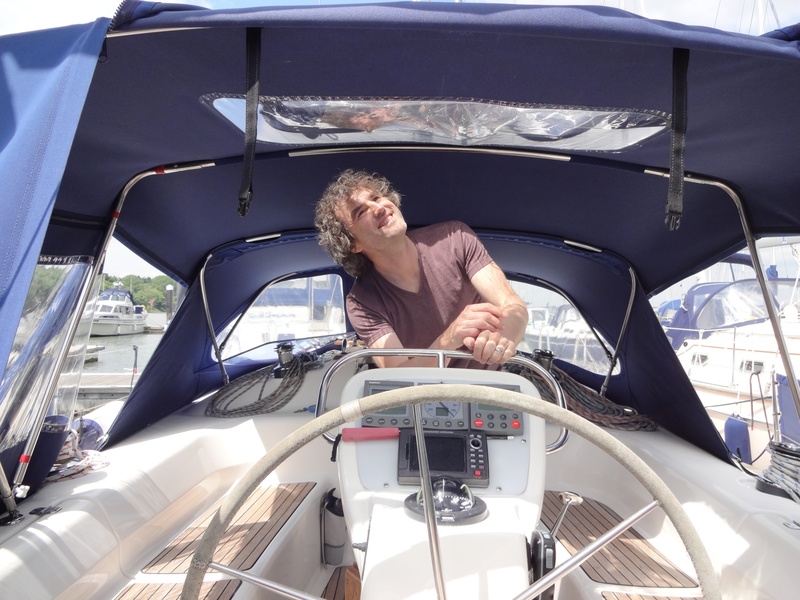 With some years in the UK ahead of us, we had idly been putting some thought into one day buying a new yacht and sailing her home to Australia. There was no real urgency, but we had some investments maturing and no real idea what to do with them, so we had been keeping half an eye on the ‘yachts for sale’ pages of the internet. There was one lovely world-cruiser in Florida, and another nice example in the UK’s west country. We put in some quiet requests for more information, and discovered that the Florida boat was already under offer, and that the UK yacht’s owner had suddenly changed his mind and didn’t want to sell after all. A third likely candidate showed up near Southampton. She was a ten-year old Bavaria 37, slightly larger than our previous yacht Pindimara but to the same familiar and proven design. In addition she was the roomier “Master’s” version, with the advantage of a two-cabin layout and only a single head. Because she was a private sale, she was considerably cheaper than other similar boats from dealers, and yet she looked to be in remarkably good condition with most of the extras that we wanted. We discovered that the owner, Derrick, had just spent a week sailing her east from Southampton and then north up the coast to East Anglia, but England isn’t very big and nothing is really very far away by road, so we drove over to see her. We were quietly impressed. Derrick, who has been sailing her for almost ten years, is an excellent hobbyist electrician and woodworker, and has kept her in great shape. Every repair and change was an improvement on the original without materially affecting her design. We immediately commissioned a marine survey. This entry was posted in England, Europe, Travel and tagged Sail on 2014/05/31 by Reinhard.